Check out tips from our experts about what to expect during your pregnancy. We'll take care of the details - like custom birthing options and gourmet meals - while you build a playlist that rocks. Things Pregnant Women Need to Know About Zika Virus. Pregnancy and childbirth are wondrous events that should be celebrated for the miracles they are. For the first time, you get to meet your baby: a breathtaking experience you will never forget. But while all this sounds magical, you may be just a little stressed with all the changes happening to you and your body, and sometimes you might worry about the health of your bundle of joy. At HealthONE, Denver’s largest network of hospitals and physicians, our obstetricians and pediatricians deliver the kind of care you want — reliable, compassionate and helpful. We strive to make your pregnancy journey and birthing experience as stress-free as possible. 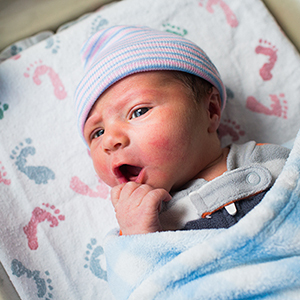 As part of our commitment to our newborns and their parents, our physicians and newborn nursing staff provide a personalized childbirth experience for you and your baby. Whichever of our hospitals in the Denver metro area you choose to have your miracle in, you'll discover spacious private rooms, a variety of delivery methods to fit your preferences, helpful childbirth classes on a variety of pregnancy topics and caring doctors, nurses and other maternity staff. Our robust pregnancy programs have you covered, offering everything from personalized delivery rooms to neonatal intensive care units (NICU) for our newborns in need of critical care. Remember, HealthONE is your pregnancy partner from conception, to childbirth, to continuing pediatric care for your baby after delivery.